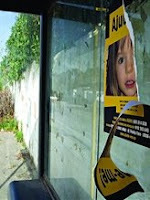 Tearing off pictures of an INNOCENT three year old child on the streets of Portugal. What a bunch of vile, evil people!! What has this INNOCENT 3 year old ever done to anyone?? And that, my friends, is what is known as "poetic justice". It's a sad statement, really - but the McCanns must know how the Portuguese feel about them, after all they have said and done (and not done). I wonder how this will be spun. Are you bloody stupid you silly immature backward excuse for a person? 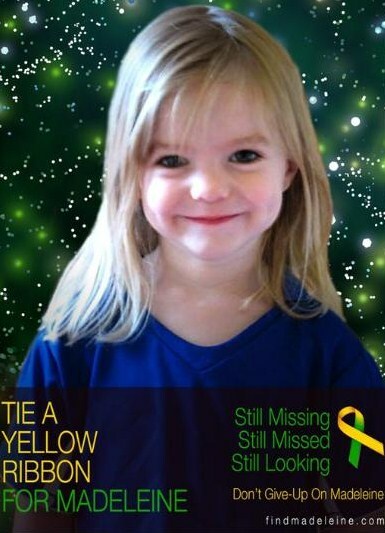 It is a poster of a CHILD, the one you profess to love so much, with her face ripped in half. Of COURSE this is about DISRESPECTING that child. It is not illegal to tear up posters, but it has a CHILD on it. I wouldn't be surprised if it was one of your fellow pitchforkers who did that to the poster after all the posts saying they would. I WOULDN'T GO ON HOLIDAY TO PORTUGAL IF I WAS PAID TO after watching what a despicable bunch of people they have living there and posting on internet forums.